I think of myself as a visual content junkie. Visual content tools never cease to amaze me, and lately I’ve realized the added benefits of embedding tools – how much more effective they make your visuals. 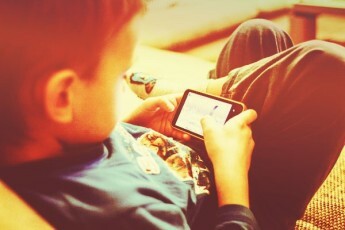 Why would you give up the option to integrate your visual content on your site? Why would you ask your readers to go elsewhere to view the content in its natural habitat? That’s right, there isn’t a good reason. Embedding visual content is a crucial storytelling method. Storytelling thrives on bringing experiences to life – adding jaw-dropping visuals to your text makes your story that much more engaging. Content, in nearly all mediums possible, is much more effective when it’s embedded, and not pasted as a flat, static image on the page. 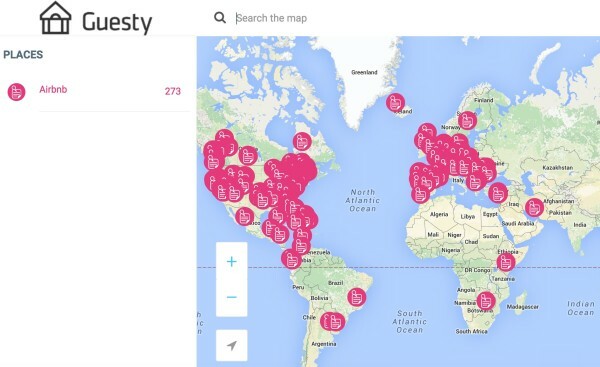 Just look at the differences in Guesty’s map for its Airbnb host management services. When the Guesty map becomes a live, moving element (embedded content), viewers can take the content to so many places (no pun intended). Locations and addresses can be searched. Viewers can zoom in and out, and see the concentration of places in one city compared to the next. The Guesty story comes to life, and is so much more engaging for its audience. Embedding your content opens gateways of opportunities and audience reach that wouldn’t be possible through pasted content or visuals. 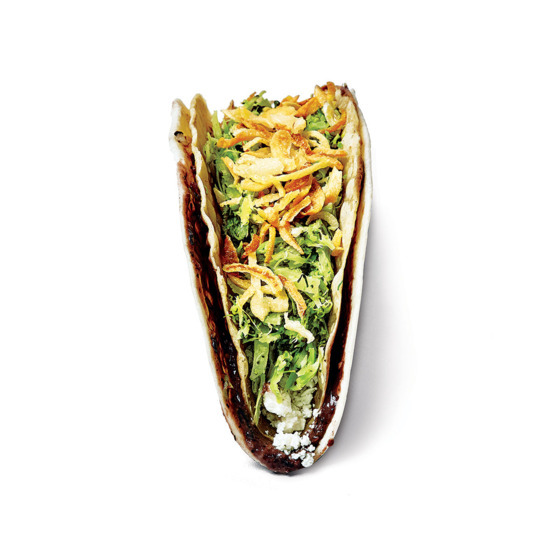 A standard JPEG image appearing on NYmag.com, it features an appealing, gluten-free taco with all the trimmings. The colors are rich and clear in resolution, and the taco looks vivid. But you can’t compare the well-photographed taco to the interactive taco that NYmag.com made with ThingLink. As you hover over each ingredient and learn more about the taco’s tasty features, the brief foodie experience becomes more engaging, almost as if you’re holding the taco in the palm of your hand. Your content is transformed into rich-media previews, a much more engaging entity that draws in your reader’s eye instead of expecting the reader to seek your content. Whatever visual you are using to communicate your message becomes an integral, natural, and enhanced element in your storytelling. Readers can create their own versions of the story by hovering over embedded images to find pop-up information and annotations that add information. An embedded video on your site can guide viewers to one of your social media channels, such as your Facebook page or group. The video is a conduit to introduce the audience to your page, and increases their chance of engagement with your community. SEO efforts are much-fulfilled when your site features embedded content. SEO guru Neil Patel says so himself! Every time the embedded content gets shared, it adds a link back to your site – another potential SEO boost. All that being said, embedded content exists as an iFrame in your site (or blog) HTML. iFrames are a type of rich-media file. They cannot necessarily be indexed or available to appear in Google’s search results. Another way to say this is that iFrames aren’t SEO friendly. By virtue of SEO practices, content needs to be uber-searchable by Google for it to rank well. If the embedded content is what you’re looking to optimize for search, be sure that you also show that same content in a way that’s searchable for Google. 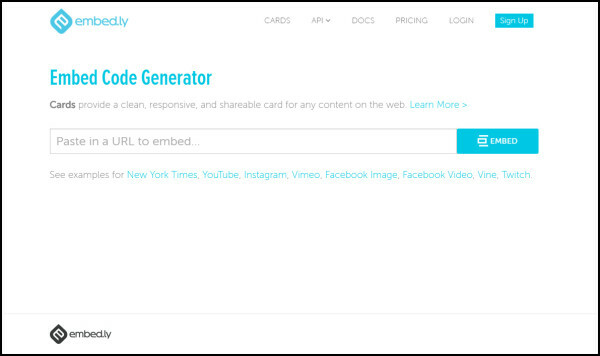 Link to the content’s original location through a regular HTML link (in addition to the iFrame) so that both Googlebot and users without rich-media content options can find your story’s page just as smoothly. These are my favorite visual content tools for embedding. The Slidely-created show lets you see each art material on its own, while simultaneously seeing it on the backdrop of others. While it highlights the visual effects of each material in its own unique light, the combined beauty of them all together also has a strong effect. When you see a variety together like that, it creates a new content fusion, a new story for the viewer. Slidely also combines music, moving images, etc., to transform the experience to trigger more senses. Your eyes are seeing tons of content, your ears are grooving to the music. You can’t smell or taste directly, but the experience is so real that you seem to get a scent of what you’re seeing, and taste the experience’s true flavor. A cinemagraph tool, Flixel creates “living photos.” Its tagline is: “Bring your campaign to life.” Cinemagraphs, also known as autoplay natives, have a recurring wow-factor. Netflix, for example, uses Flixel to dramatize the image of Francis and Claire Underwood from House of Cards. Not only is a dramatic effect created by the segment of the image that’s moving, the static elements also become dramatized because of the contrast to what’s moving. If you didn’t embed them, cinemagraphs would lose half their splendor. Part of the magic is that they catch you off-guard with their unexpected movement. Suddenly, you’re experiencing what you see with much greater complexity. Using Interlude, Kobo does a phenomenal job of taking the literature industry and engaging viewers in an interactive, personal, so-real-you-can-touch-it storytelling. Please note: Video requires app download to be viewed on mobile. For Interlude, interactive video means that viewers are asked to choose options or answer questions via buttons that appear throughout the course of the video. Interlude’s interactive content infuses any message or value proposition with so much more weight and value. A screenshot or a link to a video directs the reader to a different site. That detaches the readers from your story, lessening its impact. It’s as if your readers are on the edge of their seat and abruptly told to go next door for the story’s ending. Pasted or redirected elements in a story limit the voice of your visual content. It forces a superficial, one-way view. We want the story we’re telling to excite people beyond their anticipation. Interactive and responsive? Always the better choice. Sutori (formerly HSTRY) is a visual timeline tool. You choose the visual content to piece together into an interactive timeline. You can select prompts to navigate to different information points, and you can shift content back and forth to meet the sequence that makes most sense for your topic. Sutori is a top-notch example of how visual content tools can be embedded to guide the user through a storyline or through a process which involves presenting new information and giving over a new skill. 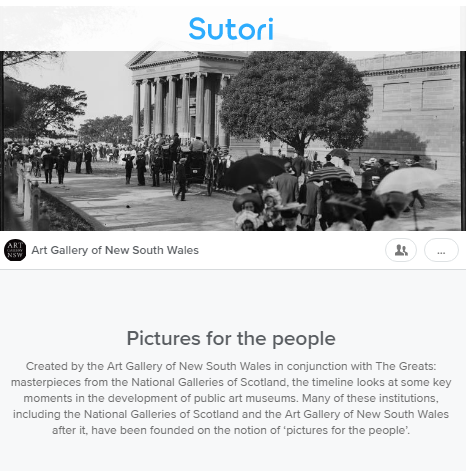 This example, Pictures for the People, is a timeline on an art exposition at the Art Gallery of New South Wales in Australia. When you want to truly engage viewers, it’s most important to excite them and to make your story feel as real as ever. Embedded content makes that possible because it blends interactive visual content into your storytelling naturally. To integrate content marketing tips, tools, and insights into your routine, sign up for CMI’s daily or weekly blog. Orlee Gillis is a visual content loyalist. Among all her Content Writing endeavors, posts about visual content are always first on her list of ideas. Content with background music and combinations of still with moving images is what really gets her creativity moving and shaking. Orlee will never pass up a chance to deliberate about Grammar nuances. You can follow her on Twitter @2EEsinOrlee or on LinkedIn.